Karin Tydén is visiting Bali to recharge her batteries for 2015, and has previously reported about yoga and detox. 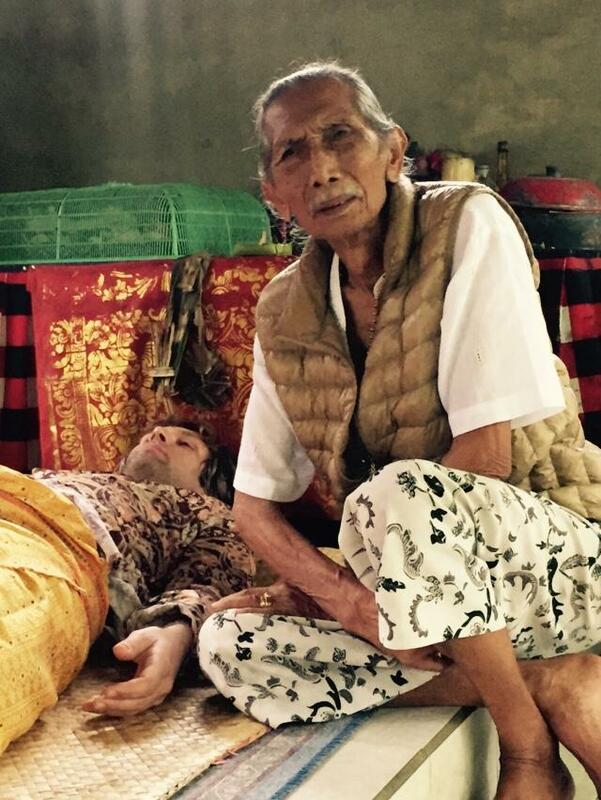 This time she has visited 2 healers in Ubud and I think you will find her report interesting. Enjoy the read! Change Your Life and Perspective in Ubud – Part 3. The famous movie “Eat, Pray, Love” with Julia Roberts definitely put Ubud´s healers, or balians as they are called locally, on the map. Every little village has their own healer and there are actually more balians than Doctors on Bali. The villagers usually visit their own healer, rather than the doctor because it is cheaper and sometimes more efficient. I decided to meet with 2 of Bali´s most recognized healers and no, I am not meeting with Ketut Liyer, the healer in the movie “Eat, Pray, Love”. The rumour on Bali is that Ketut Liyer is suffering from dementia nowadays and are telling every customer the same thing, while charging good money for his consultation. There are also some imposters posing as healers and I recommend to only visit the one´s you have been recommended by a reliable source. If you are looking for a good consultation and results you should visit Tjokorda Gde Rai or Pak Man. Tjokorda is a very famous healer in Bali and almost every taxi driver knows about him and are willing to drive you there for roughly 25US$. He lives in the village Puri Negari which is about a 20 minute drive from Ubud and the taxi drivers usually wait for you. Expect to wait for 1 – 1,5 hours if you have not booked in advance. He is a very special gentleman who will treat you for 5 – 10 minutes and that is it. He will push and poke your feet with a wooden stick and will heal where it hurts. He also puts his fingers in your ears and put pressure on certain areas of your head. I was very surprised when Tjokorda after 1 minute told me which problem I was seeing him for, without telling him. He pulled out his mobile phone to show me an image of my problem which I immediately recognized. He pushed a zone on my toe and I almost wept in pain. There is no treatment room and there will be people waiting while you are undergoing healing. He is very discreet and speaks softly during the consultation and his advice is almost inaudible for others. His English is limited so you should not expect long explanations of your problem. Short, sweet and clear is the melody here. After chatting with Tjokorda for a few minutes he says “Now you know what the problem is, it is no longer a problem, is it?” He touched my toe again and the pain was gone! A couple of days has passed since my visit to Tjokorda Gde Rai and the problem seems to have disappeared. I will absolutely follow the advice I was given during the session and I am curious to find out what will happen. 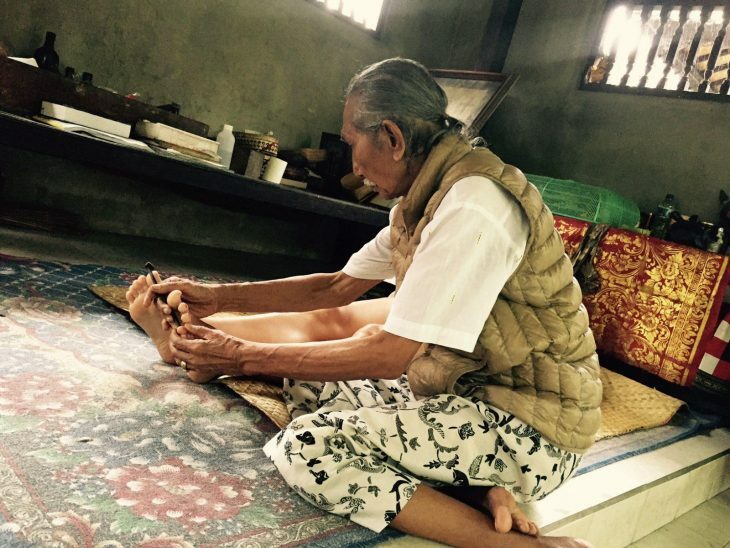 Tjokorda Gde Rai is a healer in Ubud, Bali. Pak Man is a hands on healer and probably the most painful of them. This is not a healing for sissies because his massage is very firm (to put it gently) and I think he found every weak spot in my body. The massage is stimulating your inner organs and sometimes feel like he separated tendons in my legs. Ouch! A session with Pak Man always starts with a philosophical on his porch. Pak Man´s English is not so good but his wife is doing a splendid job translating. He is careful to point out that he is not a healer and that you are your own healer and you therefore have to accept responsibility for your health and your development. I love his expression “There are many clever people, but not so many intelligent and wise”. This is to tell you that you have to use your intelligence and wisdom to reach your full potential in life. After the conversation he will ask you to lay down on a mattress in his treatment room that has an altar, incense and a plethora of natural medicines. He drip something very foul-tasting in your mouth, chant and proceeds with his rituals before he starts the massage. I saw Pak Man because I have been suffering from pain in my lower back and I have tried everything available in Sweden with no improvement. He told me that I have a pinched nerve and that the energy in my liver is too low. He un-pinched the nerve and activated the energy in my liver and I was feel fresher and more alert than I have done in many years. 5 days after the session my back is getting better and better for every day. The pain is almost completely gone from my lower back. I think I will re-visit Pak Man for a final treatment before I leave. Bookings are required at Pak Man´s and his sessions lasts at least for an hour. He is not a master of timekeeping and you will have to expect to wait for your appointment. He lives in Kutuh Kaja which is also a 20 minute drive from Ubud. In other words, a session with Pak Man will take at least 3 hours including transportation from Ubud. A taxi who will take you back and forth will cost 25US$ including waiting while you are getting treated. From Ubud main road (Jalan Raya), go north into Jalan TIRTA TAWAR. Enter KUTUH KAJA village. Pass VILLAGE BANJAR on left, further 100 meter and turn right into private lane (Signs to THE PURIST & D’LEGON Villa). Pass hotel car park, further 20 meter on the left is “PUNDUNG KEMBAR” (white wall, black gate). 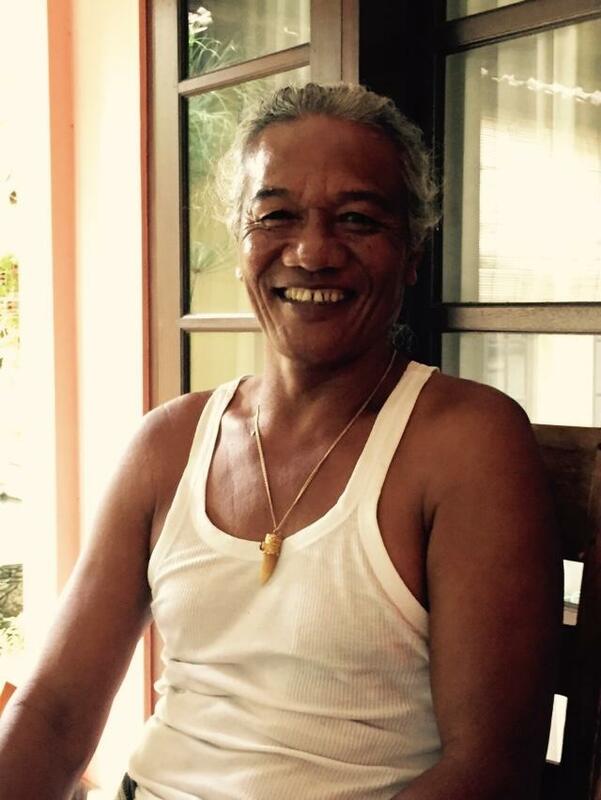 Pak Man aka (Arya Dunung is one of Ubud´s most famous healers. It is considered bad manners giving the healer cash in hand. You simply leave the money to his assistant or put them in a designated bowl. Dress modestly and respectfully when seeing a healer. I recommend a sarong and a top with long sleeves. Do not point your feet at the healer. This is considered bad manners as well. Remember that most healers are humble and wants to help you find your inner healer. In other words, no need to treat the healer as a rock star. A big thank you to Karin for sharing her experiences from healing in Ubud! If you this article, you might want to read her reports about detox and yoga in Ubud or my other posts about Bali. Healing can be an alternative or a complement to Western medical treatments. If you are suffering from a serious illness, you should always consult your doctor. Do you have tips, comments or thoughts about healing in Ubud, Bali? I would love to hear from you via email, in the comments below, on Twitter, Facebook , Instagram or Google+. Introducing Patrick Gallagher – Sharing Stories & Airport Tales! Tjokorda Gde Rai is amazing, my wife and I saw him 3 years ago and he found our individual pains and emotional meridien for that pain in our toes in quick time. He proceeded to use his magic little stick on our backs and then used his fingers on the head to identify pressure points and then checked the pain points in our toes again – and gone! Highly recommended! I am happy the healing relieved you from pain!